The first time I saw that film, I was barely out of my teens. My Mom had suggested I watch it as it was the late night movie that day and I must have looked a bit sad coming home from a date. The movie grabbed my from the start and I watched transfixed til the end and hoped that my sobs were not loud enough to wake the rest of the family. Clearly, the film had made an impact. Why do I tell this story? I suppose it is because I am often reminded that it is the little things that we do that really matter the most… the friendships we make, the kindness we offer, the joy that comes from shared experiences… even when things don’t go as planned. In fact, often those times are the most memorable. 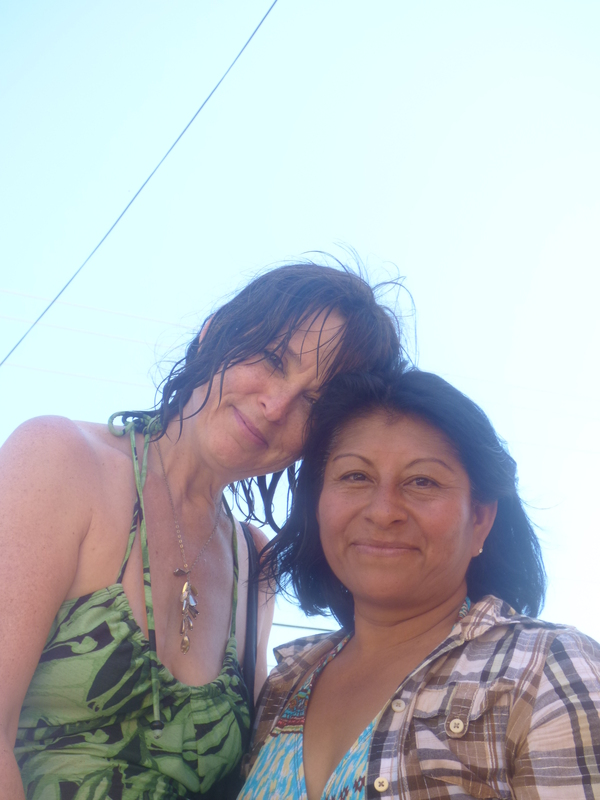 For the past week, Emile and I have been in Mexico and a few days ago we were able to meet up with old friends. They drove five hours to spend time with us (okay, they were also going to the beach). Neither of us is fluent in the other’s language… my Spanish is fair at best) but we find ways to communicate. We spent two days together discovering new beaches: Boca de Iguanas (the sign near the bay there says “No Swimming: Crocodiles”), Tenicatita (no amenities and a military presence made this beach unappealing), before settling at Melaque for swimming, working a jigsaw puzzle, and sipping Modelos. 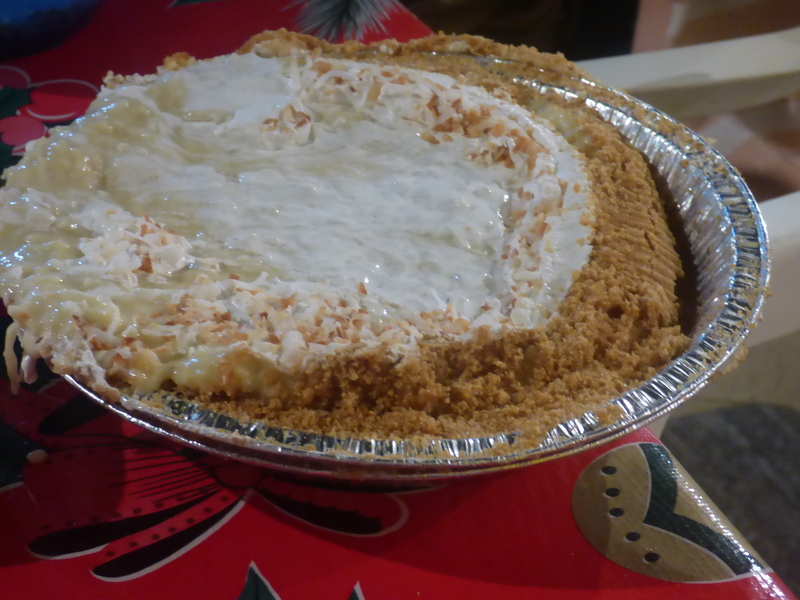 The day our friends arrived, I made a coconut cream pie to share with them and one of our favorite restaurateurs. Unfortunately, that taco stand was closed that day and so we found another taqueria and made new friends there. I gave the pie to our waiter and asked him to please keep it cold until we’d eaten. After our dinner, I went to retrieve it and when he opened th fridge we saw the pie tilted on its side oozing out of the pie tin. The worried look on his face was instantly removed when I laughed and told him that it was okay… it was after all, just a pie! As it was a few days before David’s birthday, we sang to him and each enjoyed a bit of mushy pie. Life is good! After David and his family left, we returned to our usual routine… walking the beach… and for me, that also means searching for shells. As we were standing by a fisherman, I found a particularly strange one and showed it to him explaining that I loved the surprises that come with each wave. He looked at the shell and said what I had was a “regala de la mar” using the same words as the title of Anne Morrow Lindbergh‘s book, Gift from the Sea. My thoughts exactly! Later in the day, we sat under an umbrella and the waves kept bringing up bits of plants. The tiny older woman who had rented us a table looked so small compared to the task she faced at cleaning the beach (read: impossible), and so for a little while I raked for her. You can imagine the looks I received from locals and tourists alike… but I just needed to do something! Afterwards, the old woman and I laughed at the never-ending process and shared a moment of understanding. Pretty amazing how easy it is to do that if you give it a shot. 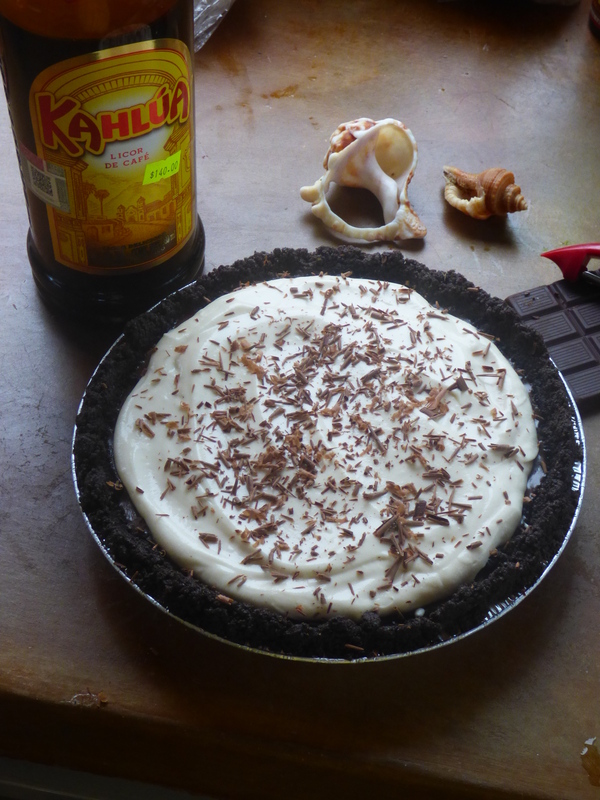 That evening we found our way to our first taqueria bearing a Chocolate Cream Pie. I’d been told the day before by Mario, our young waiter, that the reason they were closed was so that the whole family could celebrate his 13th birthday. That must have made him feel pretty special! 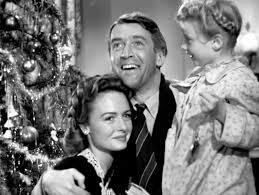 And I wanted to honor him as well… and what else would I give him but a pie? As I close, I want to leave you with this thought: we really never know what another person is going through… and our words and actions may be the one thing that makes or breaks their day. I’m sure it wouldn’t take long to think of a situation in your world needing help. Maybe you can’t fix it… but it is likely can make a small difference. We simply can’t rely on angels like Clarence to do it for us… sometimes, it is up to us. ← Is it Give to Get…. or Get to Give? The world is a better place because of you…I am a better person because of you. 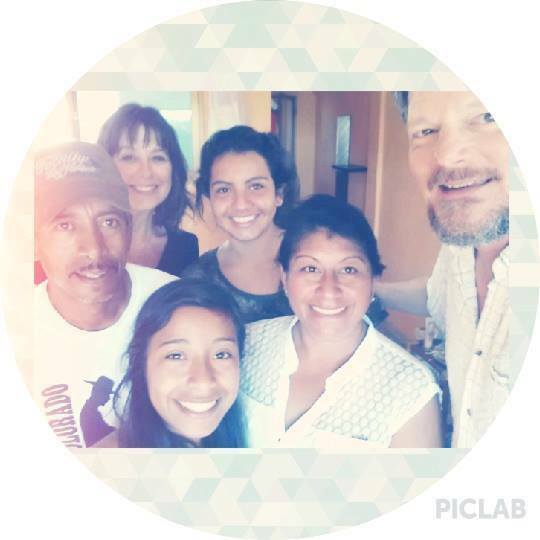 I am glad you are enjoying your peace time in Mexico and look forward to your return. Mary, Don’t give me the credit… you were already a pretty darned good person before I came along…I am very glad we’re friends.